As agents for Intercity Buses, NZ’s largest transport network, Coromandel Adventures is able to make all your travel arrangements to and from The Coromandel. 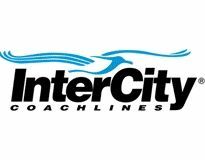 If you are travelling using Intercity service and would like to optimise you visit to The Coromandel or incorporate their services into your itinerary just let us know. Our tours often depart after the morning Intercity bus has arrived in Coromandel, or may be able to connect for an afternoon or evening services from other departure points around the peninsula. Let our Destination Specialists save you time by helping put your transport plans together in the best way possible to ensure you get the most from your visit to Coromandel.